In exactly seven weeks’ time, food and drink buyers in Edinburgh and the surrounding area will get a taste for local produce at an upcoming showcase event organised by Scotland Food & Drink. 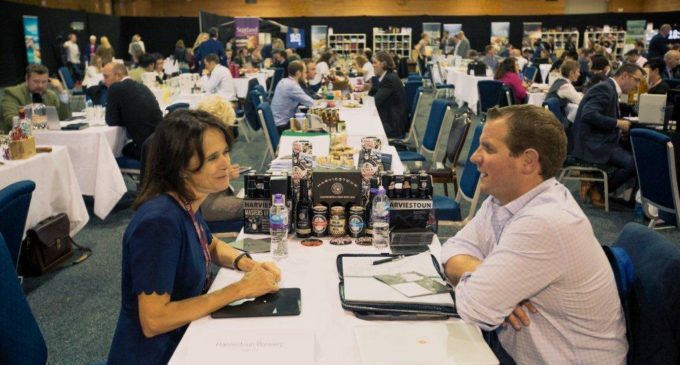 Taking place on Tuesday 19th March at Edinburgh’s BT Murrayfield, the Showcasing Scotland East event will bring together buyers and new businesses seeking access to the east of Scotland’s very best local produce. Developed by Scotland Food & Drink along with partners Connect Local, Showcasing Scotland Regional was established in response to growing demand for high quality local produce. Comprised of speed dating-style pre-booked 30-minute meetings between suppliers and buyers, the event provides a cost- and time-effective way to reach a wide range of organisations. Last year, representatives from bars, cafés, hotels, farm shops, visitor attractions and public procurement attended in order to sample the produce from the area. James Withers, Chief Executive of Scotland Food & Drink, said: ‘Driving growth for Scottish producers in our home market is a key focus of our over-arching strategy for the sector, Ambition 2030, which aims to double industry turnover to £30bn by 2030. Loraine Hartley, Commodity Manager with NHS Scotland, added: ‘There’s always a real buzz at these events. Regional showcasing is a great opportunity for insight into the wealth of produce available at a local level. For us, it’s an excellent way to meet local suppliers and work towards demystifying selling to NHS Scotland’. Showcasing Scotland East is free to attend. To register attendance at Showcasing Scotland East, which takes place at BT Murrayfield on Tuesday 19th March, visit: foodanddrink.scot/events.